Open Labs, LLC. (openlabs.com), a leader in consumer music creation, is introducing its music app, Stagelight, to Android phones with an amazing launch price of: FREE. 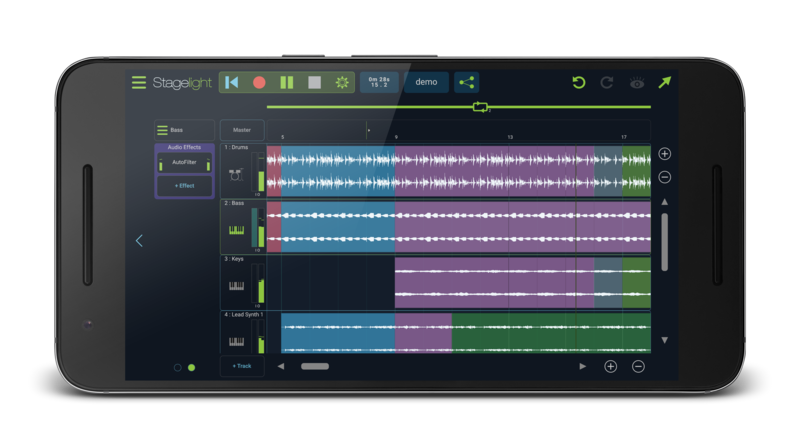 Stagelight is the easiest and best way to create, share and play with music on Windows and now Android devices including phones, tablets, phablets, laptops and desktop PCs. The free introductory offering is an important step in the company's mission and campaign to "Free the Music" in everyone. "Stagelight is the first music creation app that allows people to start for free and unlock capabilities as they progress." said Cliff Mountain, President and CEO of Open Labs. "With our in-app lessons and unlockable features, music listeners can now easily become music makers in 10 minutes or less. We want to 'Free The Music' in everyone, which is why we have expanded to Android, the largest operating system in the world." Stagelight is designed to be extremely simple and fun for first-time users, but with a very powerful engine and expandable feature set making it a platform that encourages even the best musician to develop new skills. Users have the option to explore Stagelight at the very basic level for fun, or dive into more advanced features and production tools. 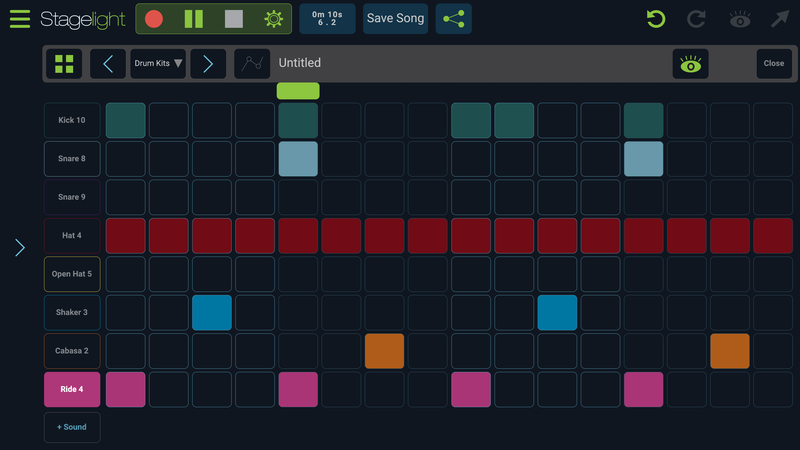 Stagelight includes step-by-step lessons that will teach anyone the basics of song structure, tempo, sharing and more. Stagelight 2.3 has been updated specifically for mobile devices such as smartphones and phablets. The app's interface is now enhanced for scalability to all relevant screen sizes, so that users can experience the same quality and familiar workflow across all devices and platforms. Stagelight's mobile expansion also allows people to start a project on one device and complete it on another. Stagelight includes its own in-app store packed full of royalty-free content with just about every genre of popular music including EDM, Hip Hop, Rock, Country and much more. With unlockable features, virtual instruments, loops, sounds and other exclusive bundles for purchase ($0.99 USD and up) the creative possibilities are truly endless. Stagelight is available on devices running Android 4.4+ and Windows PCs running Windows 7 or higher. Minimum Hardware Specs: Dual Core CPU or better, 1GB of RAM (2GB is recommended) and 300MB of available storage. Stagelight is available in English, Spanish, Simplified Chinese, Japanese and Korean. You can download Stagelight for FREE here. Headquartered in Austin, TX - "The Live Music Capital of the World" - Open Labs creates software products designed to inspire, educate and elevate musicians across the world.